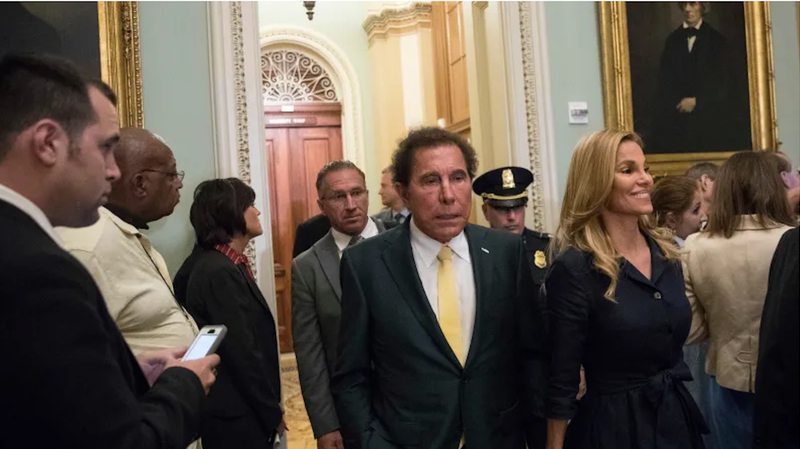 Executives at Wynn Resorts covered up several years of sexual misconduct allegations against casino magnate Steve Wynn, a report from the Massachusetts Gaming Commission says. The report, released this week as part of ongoing hearings before state gaming regulators, said the company fostered a culture of secrecy in which victims of sexual misconduct and harassment became afraid to pursue complaints or believed doing so to be pointless. The gaming commission must decide whether the company is still suitable for a state casino license. Wynn stepped down in February following a Wall Street Journal report detailing dozens of accusations made against him. In one instance, a Wynn hotel manicurist allegedly reported to HR in 2005 that he ordered her to lie down on a massage table and raped her. Sources told the Journal that she was paid a $7.5 million settlement. Still, Maddox said he knew about the Journal story a few weeks before it was printed, and said he initially believed Wynn’s explanation that the accusations against him were invented to hurt the company in litigation.